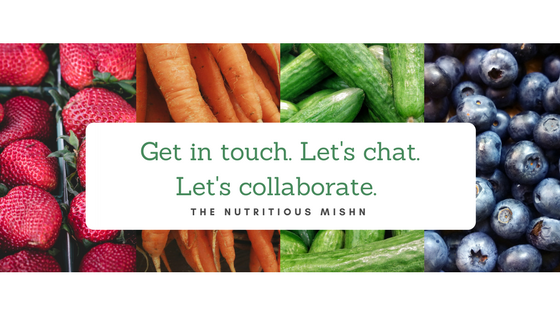 Yes, fuel your body… but let’s not forget that food, and cooking food, also gives us precious opportunities to learn more about and reconnect with our food, others and ourselves. In a world of instant and on-the-go ready-made meals and snacks, it’s even more important that we embrace these kitchen moments and meal times to get more involved in the process of feeding ourselves. This sense of independence, as well as connection with others, is probably what gives us the pleasure from food more than just as metabolic nourishment. Click and try below some recipe classics, healthy makeovers and midweek time-savers to spur your food journey. Cheap, fresh and nutritious fish burger?! Enjoy all the benefits of fish without the nasties of fast food. One of my favourite summer time dishes! Smooth, refreshing and light protein side dish to add a bit of East Asian inspo to your table. Plus, super easy to prep! Learn the one simple trick to make good hummus into amazing hummus. Plus, handy tips on managing garlic breath. Befriend your blender or food processor and with a quick blitz, you’ll get this versatile bread-dipper, tart-topper and pasta-coating winner. This Korean classic comes with over 2 veggie serves, protein, iron and a side of gut-friendly probiotics. Plus, read about salt and fermented foods. These might not replace chicken nuggets, but they are sure to make great companions. See how easy, nutritious and delicious (and cheap) it is to make this stack at your home. Get warm and cosy with this meatless twist to an Italian classic! These meatless meatballs will blow your mind! Scoop into this one-pot meal rich in beta-carotene. Autumn just got a whole lot yummier (and healthier)! Take a bite and enjoy the crispy crunch and deliciously soft umami-rich centre of this golden twist to an all-time Japanese favourite. Try this wholesome way to sneak in your veggie serves AND enjoy a satisfying delicious pizza! Crispy on the outside, soft and fluffy in the inside! Make this thumbs-up base to match any of your favourite pizza toppings! Heat up the oven and add a nutritious notch of health to your next movie marathon or football match screening with these loaded packages of yum! Back to school? Back to work? Have handy patties for any weekday lunchbox. Make tofu and eggplant the stars of the show in this oriental classic. Get 3 of your 5 serves of veggies in this nachos bowl! ‘Filling’ like a refreshing rice paper roll? You’ve come to the right place! Get some bun-spiration for a healthy twist on an Aussie classic! Stack up this warm hearty one-dish meal perfect for the colder weeknights. It scores nearly ALL your daily serves of veggies and is supercharged with beta-carotene! Welcome the cooler evenings with this veggie-ful Italian bake that stacks up in nutrition and taste! Easy entertaining with a Japanese-Middle Eastern fusion! It’s got all the right crunch of almonds, gooeyness of melting choc chunks, and darkness of the cocoa (and dark chocolate) for a decadent dessert. Freshly baked, overnight or lightly toasted – enjoy this beautiful classic with a nutty twist. Go ahead, reap the health benefits with all the yum factor! You don’t have to short-stack to enjoy this nutritious and delicious brunch classic. Time to all in love with pancakes all over again! Make Easter time anytime with these portion-sized homemade hot cross buns. Make the most of the mango season with this delicious cheesecake that won’t weigh you down. Dark Chocolate, or Milk Chocolate? Going traditional with a batch of fruity wholemeal hot cross buns ❤️ Enjoy them freshly baked, split and spread with olive oil spread 👌 The loved ones approved 🙌 Learnt that a rice cooker on the "Keep Warm" function is a fantastic way to prove dough 🤓 Very relieved for a long weekend to rest and recover from a cold 😷 Self-care is high on my radar ... oh and to nibble on some hot cross buns 😋 Happy Easter! Rolling up and rugging up with these loaded baked spring rolls in this sudden Sydney cold snap ❄️ ⠀⠀⠀⠀⠀⠀⠀⠀⠀ Sautee chopped cabbage, finely sliced carrot, spring onions and shiitake mushrooms in extra virgin olive oil and sesame oil (1:1), add pork mince and break apart til browned, add potato starch and water mixture to thicken the filling 🤓 Cool completely before using. I did a bout of house cleaning and chores while it cooled down ✌️ I somehow convinced myself that I bought the 50 sheets pack of spring roll wrappers, and so enthusiastically made enough filling to make 50 rolls (around the length of an index finger)... but realised that it was the 20 sheets pack 😂 ⠀⠀⠀⠀⠀⠀⠀⠀⠀ Solution? 🙄 I made these loaded jumbo spring rolls 😁 Brush lightly with sesame oil and bake for 20mins at 200℃ 👌 ⠀⠀⠀⠀⠀⠀⠀⠀⠀ Happy Monday! Cooler weather means warmer breakfasts 🔥 Warming up with this hot smoked salmon ochazuke with rice balls (panfried in sesame oil til crisp and toasty), wasabi, umeboshi (salted plum), a sprinkle of dashi powder and a headpiece of nori seaweed, shallots and white sesame seeds 👌 ⠀⠀⠀⠀⠀⠀⠀⠀⠀ Ochazuke in Japanese means "accompanied with tea", and a hot pot of tea is literally poured over the dish of yummness to serve 😀🍙🍵 ⠀⠀⠀⠀⠀⠀⠀⠀⠀ For this one, I used green tea brewed from the leaves 🍃 My sister and I tried to do a fancy tea-pouring shot... but it ended up being a dribble 🤔 Anyways, it tasted nice and would recommend using skinless salmon for this recipe 🙄 ⠀⠀⠀⠀⠀⠀⠀⠀⠀ Happy Monday!